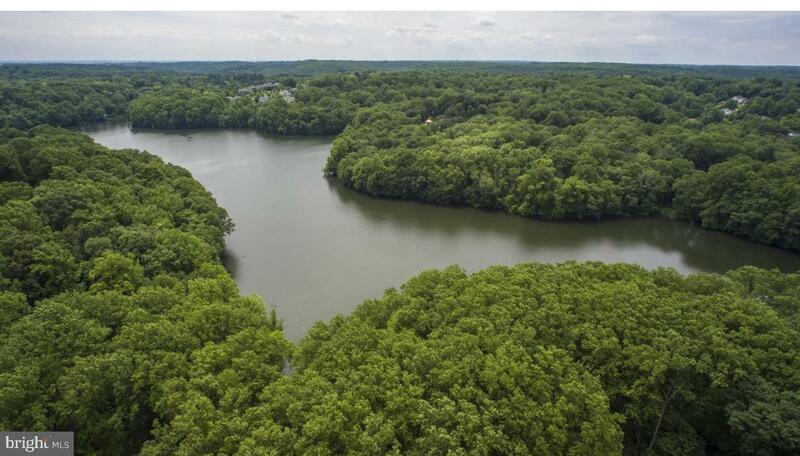 PRICED UNDER THE APPRAISED VALUE AND OVER 9,000 Sq. Ft. OF LIVING SPACE! 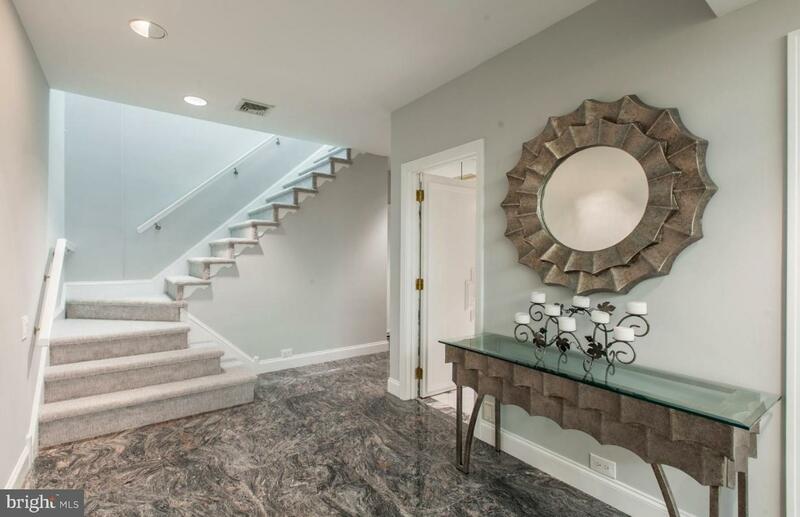 Stately, custom built 5 bedroom, 6.5 bath colonial with a contemporary flair on one of the best lots in the desirable community of "Springton Pointe." 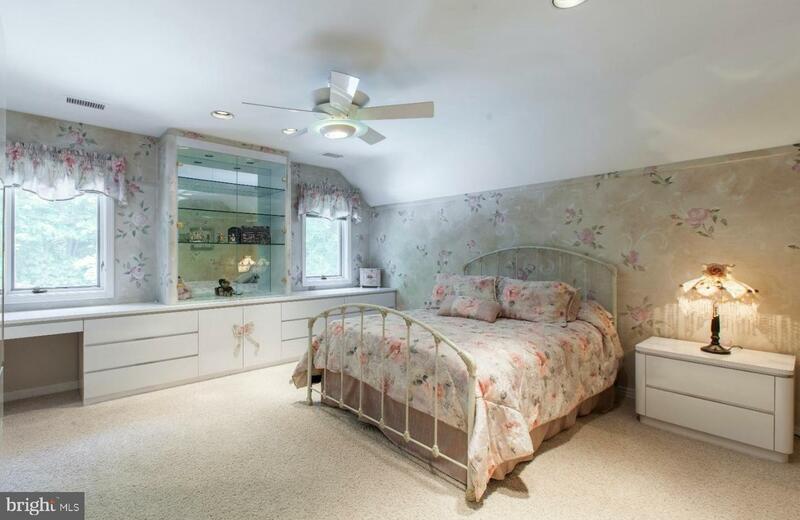 This is a great house for multi-generational, in-laws, au-pair or entertaining overnight guests! 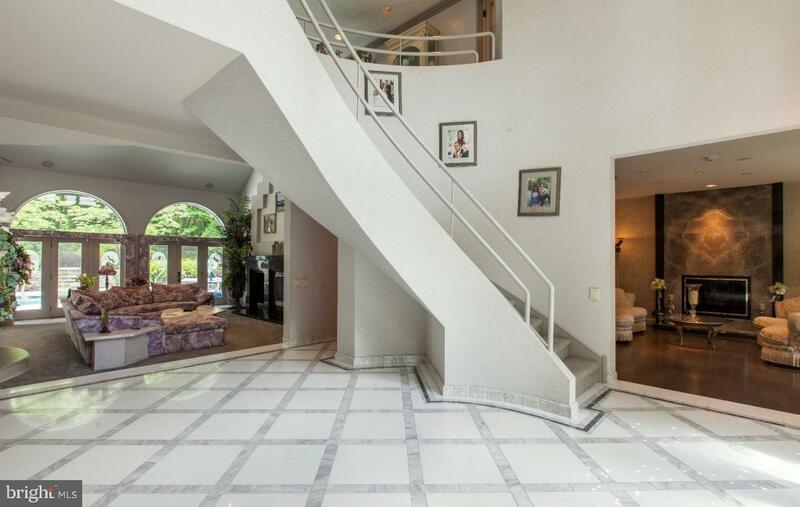 Enter the dramatic 2-story foyer with gorgeous inlaid Carrera marble flooring and sweeping curved staircase. To the right is a formal living room with new hardwood floors, a marble fireplace and wet bar, perfect for entertaining. You won't mind working from home in the handsome office/study with built-in desk and bookcases and a coffered ceiling. 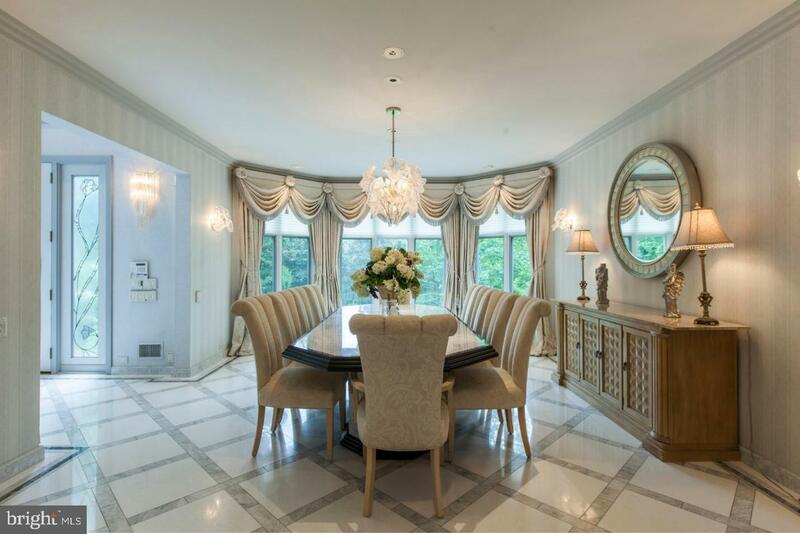 To the left of the foyer is the formal dining room with crown moulding and an amazing view of Springton Lake! 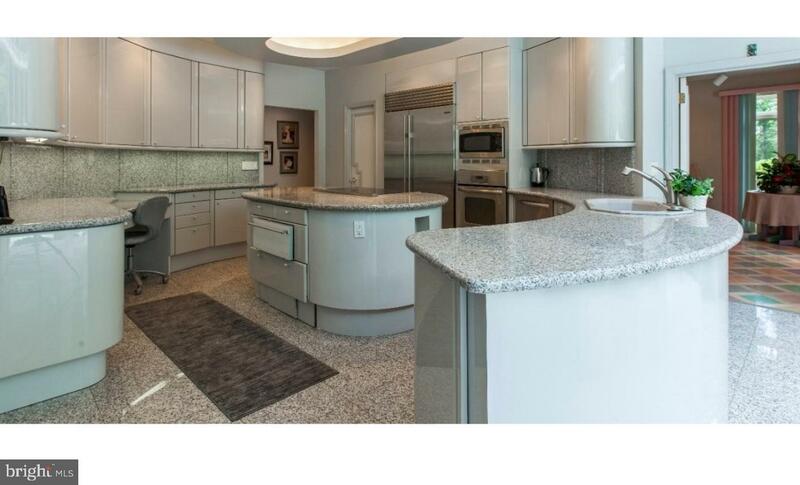 The eat-in kitchen, with radiant heat floors, has large island with granite countertops, new Wolf & Kitchen Aid appliances, built-in new Sub Zero refrigerator, open to family room and breakfast room. 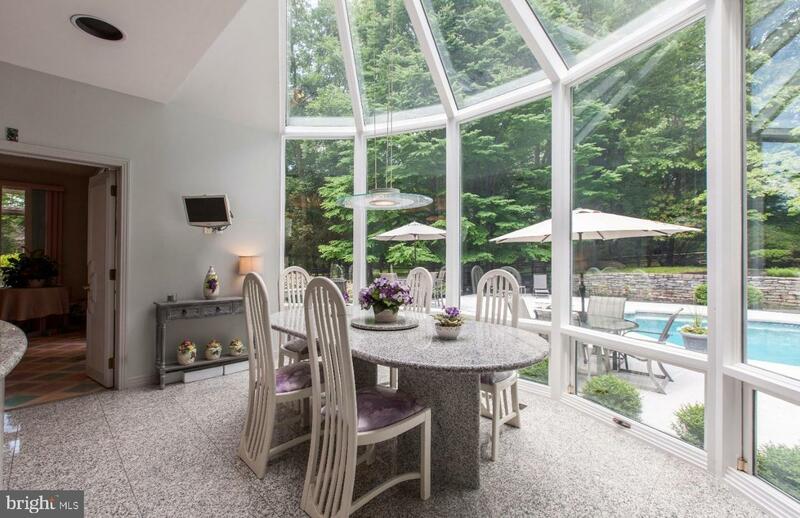 The huge windows in the breakfast room afford an amazing view of the pool and expansive yard. The large family room with vaulted ceiling and marble fireplace is the perfect spot for family gatherings or watching a movie w/the built-in speakers & surround sound. Off the kitchen is a play room or a second office with built-in bookcases. Main floor laundry (with a laundry chute from the second floor) and two half baths complete this floor. 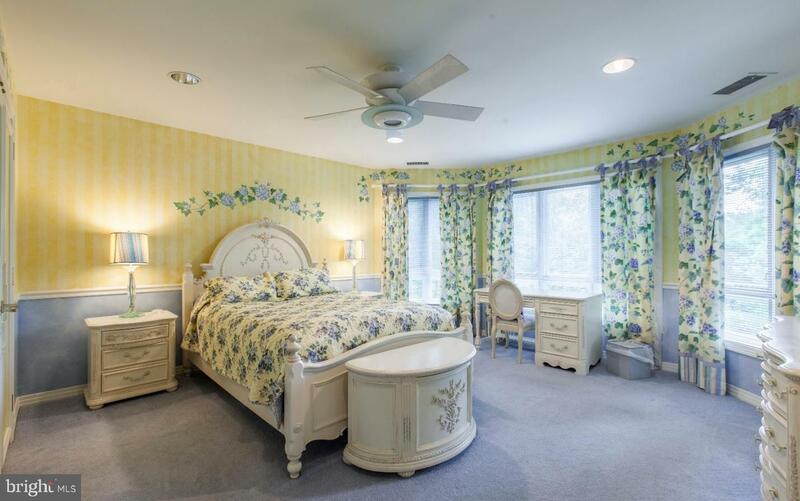 The second floor features four bedrooms and three full baths and the third floor has it's own princess/teen suite. 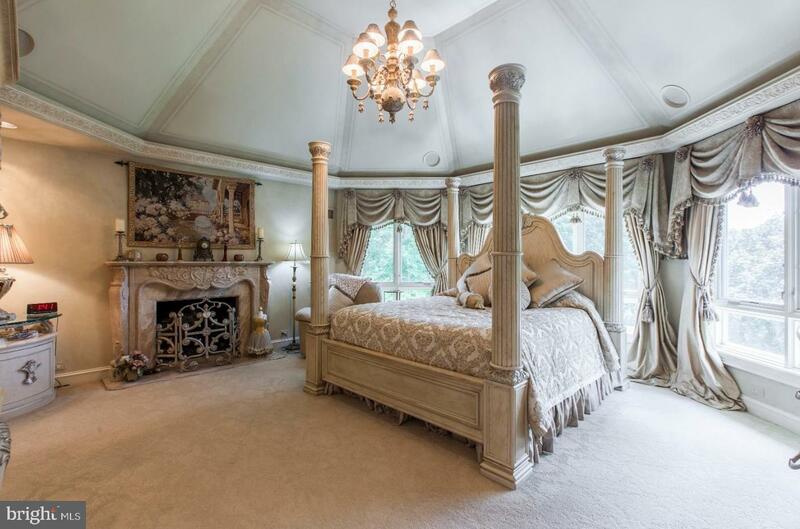 The spacious master bedroom boasts it's own marble fireplace and a cathedral ceiling. 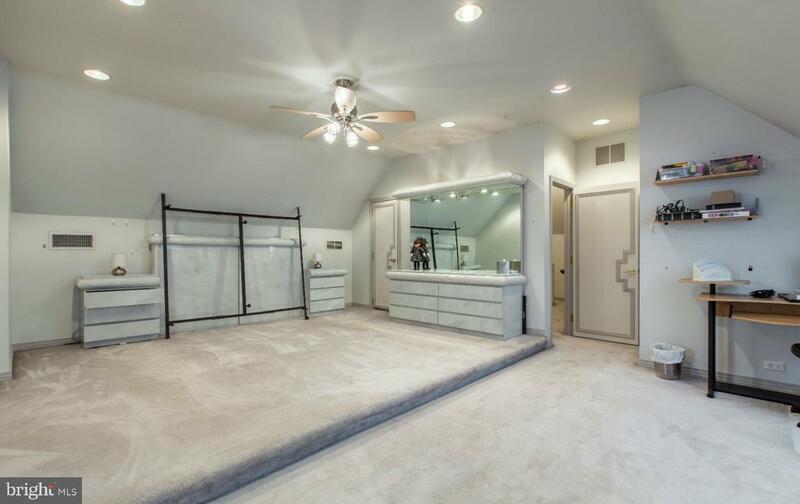 His and hers walk in closets w/built-in closet systems and a private balcony. 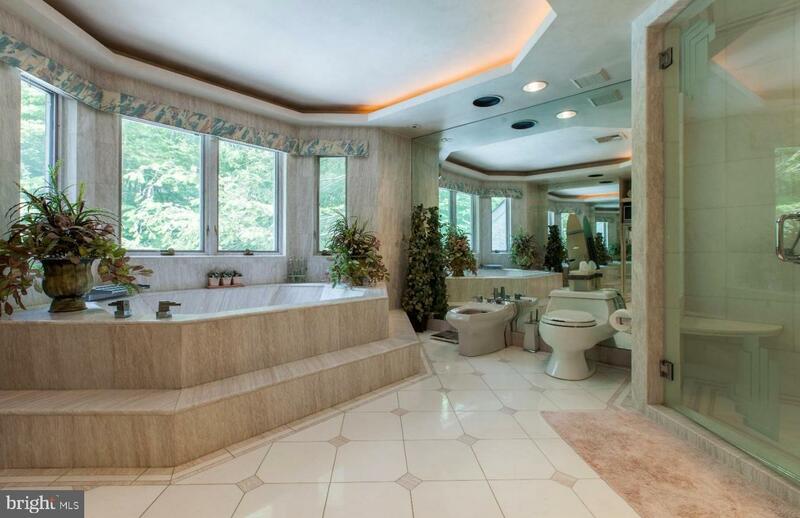 The luxurious marble master bathroom includes a jetted tub, large shower, double sinks with make up vanity with radiant heated floors. Two bedrooms share a jack-n-jill full bath with double sinks and one en-suite bedroom with it's own full bath. 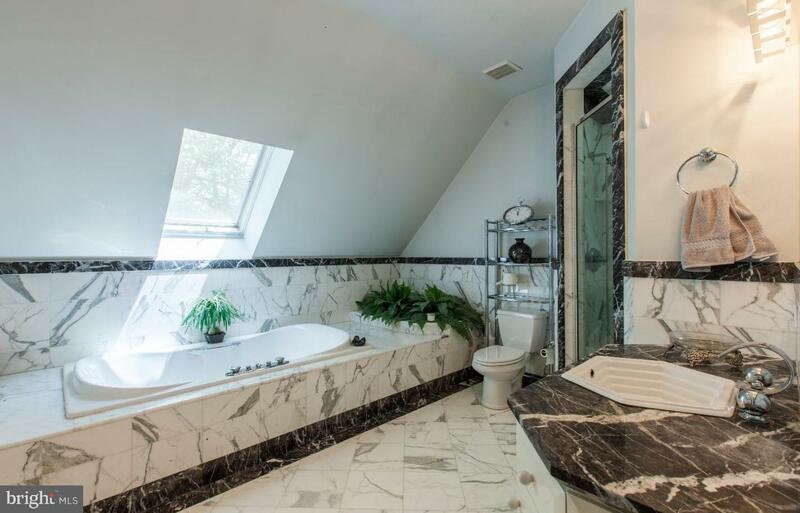 The third level is perfect for an au pair or teen wanting privacy in their own suite with beautiful marble bathroom w/jetted tub. 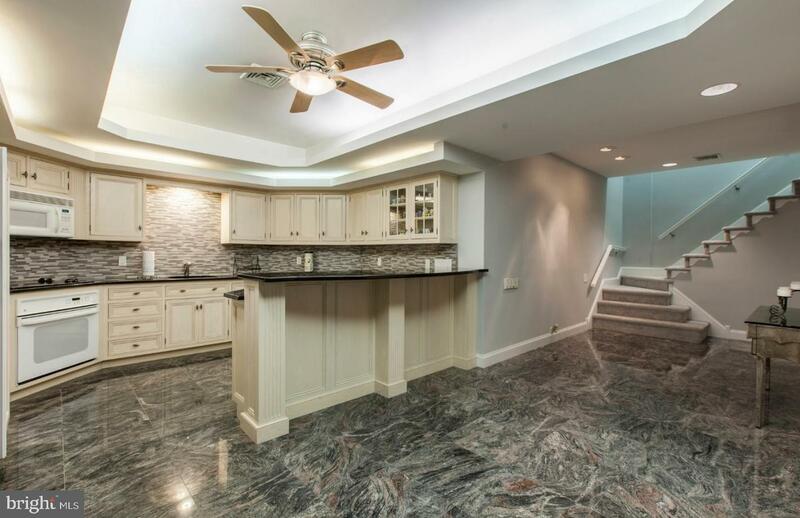 The huge lower level with 9' ceilings features a new full kitchen with wood cabinets and granite countertops, (26X17) pool table area, (17X14) gym, (22X13) "dance floor" (26X14) TV hang out area with stone fireplace, (23X17) a full bath and another room with a closet. (14X13) A total of over 2600 of living space on lower level. 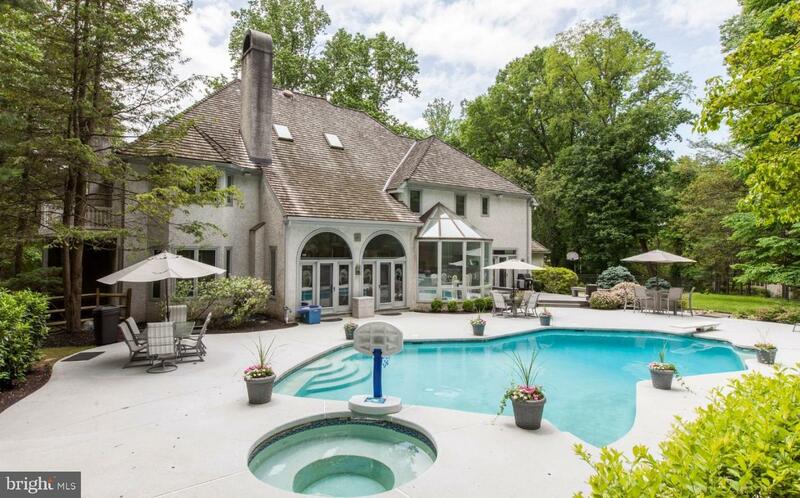 The back yard is an oasis with mature plantings, pool and hot tub. 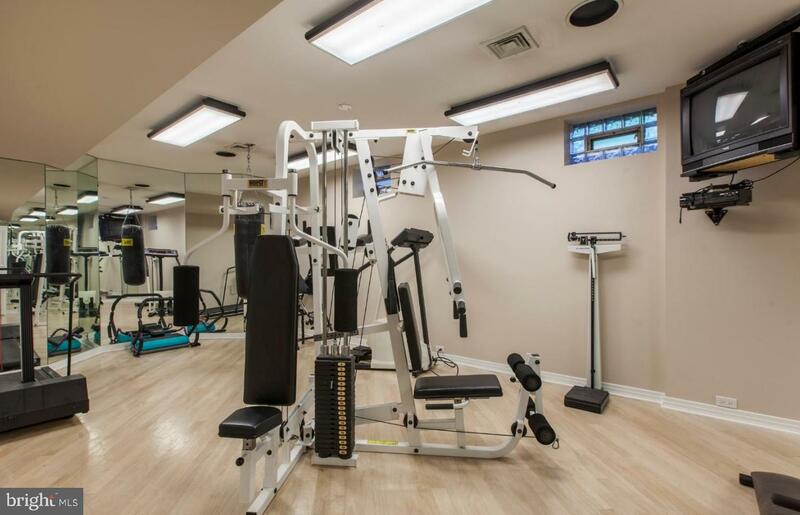 Conveniently located near Newtown Square shopping, restaurants & Whole Foods. 20 min. to airport, 30 to Phila & 35 min. to Wilmington.